The Asus VW22AT widescreen display is a classic representative of the ever-thinner class of office monitors. The aspect ratio of 16:10 makes it perfect for working with documents and spreadsheets. With a 1680 x 1050 resolution you can easily put two windows side by side to increase your productivity. The QuickFit virtual scale will allow you to see the real size of documents, photos, and grids overlapping the work windows. You can activate the function with a button on the monitor and use it as a template for accurate photo viewing and editing. The user friendliness of the panel is guaranteed with LED backlighting and the construction with non toxic and degradeable material. Another benefit is its low power consumption. Not only do you save your own wallet but also our planet. 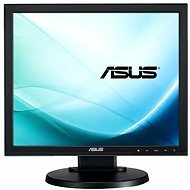 The Asus Monitor must of course does not lack in the graphics department with Splendid Video Intelligence technology to optimise graphical performance according to a particular application and the corresponding several image modes. Just like the usual there is an easy system for switching between widescreen and standard format. 22 " (55.88 cm) Done! 1680 × 1050 px Done! VGA cable, DVI cable, 3.5mm jack cable, Power cable Done! 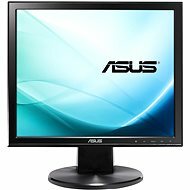 For shipping to other EU countries visit this page 22" ASUS VW22AT. 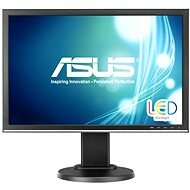 Für Versand nach Deutschland, besuchen Sie bitte 22" ASUS VW22AT. Chcete doručit zboží do Česka? Prohlédněte si 22" ASUS VW22AT. Chcete doručiť tovar na Slovensko? Prezrite si 22" ASUS VW22AT. Für Versand nach Österreich, besuchen Sie bitte 22" ASUS VW22AT. Magyarországra történő kiszállításért tekintse meg ezt a termékoldalt: 22" ASUS VW22AT.